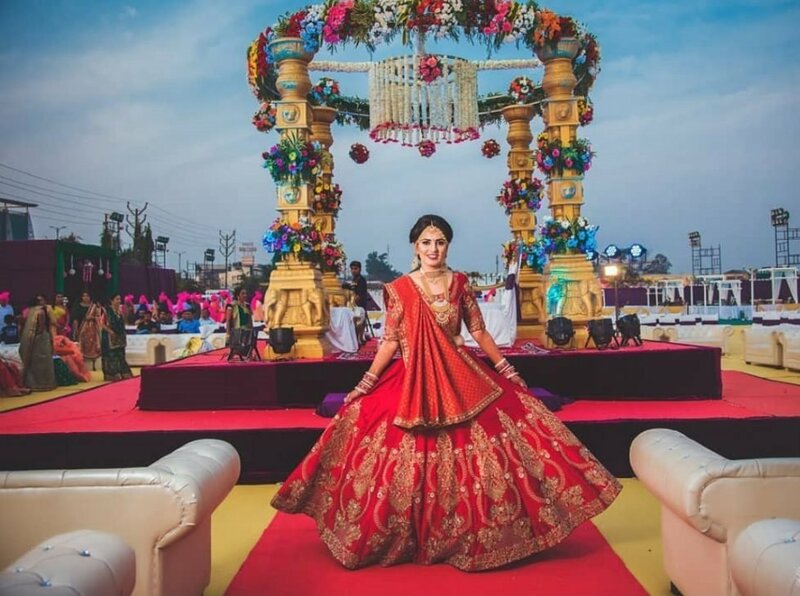 Weddings in India are surely a grand affair, with lavish venues, scrumptious buffet, and glittering apparels, it is a party for all (family as well as the wedding guests). But a wedding does not become grand by default, there are a lot of efforts which goes into that. Some couples are able to manage their own wedding without a glitch but some opt for planners to do the job. Whoever may have handled the lead, the expectations are always of something grand. Now when it comes to a wedding venue (like a hotel, an open lawn or a banquet), a lot of elements work together to produce the desired results. To name a few, it is light, tent, theme and decoration. 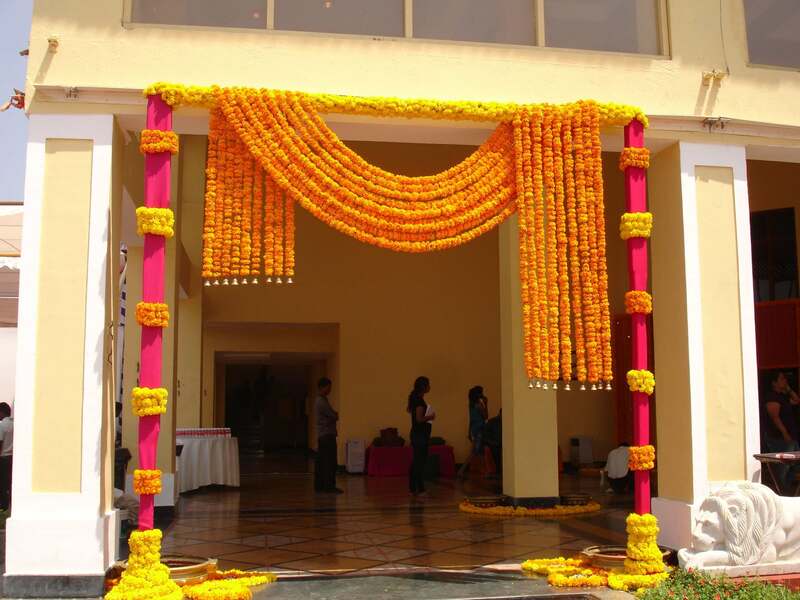 Although a simple part, decoration plays a major role in changing the entire vibe of the venue. And the most favorite as well the most preferred type is the flower decoration. These beautiful flowers and plantations help in giving a dreamy look to the venue, which is the ultimate aim of every couple, to leave every wedding guests spellbound. 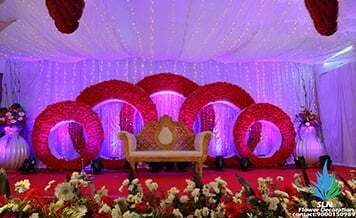 Therefore, today we have compiled a list of four important points to be considered before hiring the wedding decorators in Mumbai. What Kind Of A Flower Decoration Do I Want? 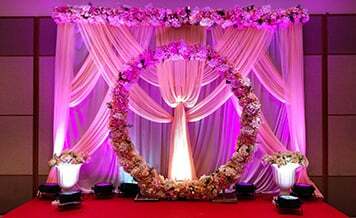 Before you start searching for wedding flower decorators in Mumbai, it is important to have an idea about the type of floral decor you want. This will help in avoiding any kind of confusion while having discussions with the decorators. As the vendor will only give ideas related to your vision. How Much Money I Want/Have To Spend? It is very important to always work within the wedding budget otherwise, you may regret any sort of overspending later. And it is not like that having a limited budget does not produce great results. You can easily get beauteous floral decoration in a decent amount of money by opting for seasonal flowers which are available in abundance, as this will reduce the material cost. But decide the amount of money, you do not mind spending for the decoration. Set Up Meetings With At Least 2-3 Decorators: It is always considered to be the best practice to talk to at least two or three wedding decorators before finalizing anyone. This will help you in bargaining as well as comparing the prices charged by different vendors. Also, this will give you an insight into different flower decoration trends in the market. How Many Wedding Or Receptions The Decorator Has Catered To? The experience of a flower decorator can make or break the entire wedding function. 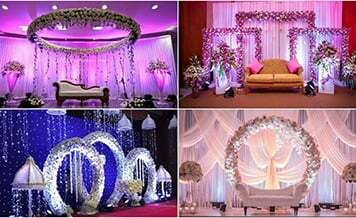 Only hire that decorator who is experienced or rather specializes in decorating wedding functions. Because such kind of vendor is aware of the emotions attached to the whole function and hence, the decoration is planned accordingly. Below are the top 4 choices of top wedding floral decorators these days. You can take inspiration from these ideas and change the entire look of your wedding venue. Read to know more. 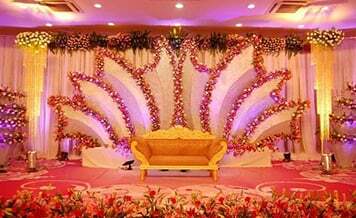 The Flower Wall: Very much in trend these days, a flower wall is the best choice for decorating the wedding stage. A large collection of various colorful flowers is a perfect backdrop for wedding photographs. Or you can also have such kind of a wall at the entrance to provide a picture-perfect backdrop for the guest to click some super-cool (read beautiful) selfies. Flower Pomander Balls: If your wedding lawn has trees then the best way to enhance their natural beauty is via flower pomander balls. This is basically a hollow circle of foam on which various kind of flowers are tucked, and the result is a flower ball which can be hanged using strings on the tree. These balls can also be used as hangings at an indoor banquet to create a magical Cinderella ballroom effect. The Fountain Of Flower: A lot of wedding venues, be it an open lawn or a hotel, have gorgeous and lavish water fountains. Though they look beautiful and complete in themselves, still adding a magical touch of flowers, elevate its appeal to the next level. So make sure you ask the team of flower decoration in Mumbai to cover the fountain with some flowers as well. 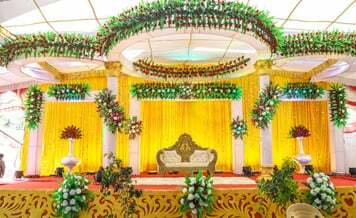 The Floral Ceiling: Various artifical flower decorator in Mumbai are including enchanting flower ceiling to their wedding decoration concept. It is very popular for a mandap, where the whole dome, i.e. from the pillars to the ceiling, all are covered in a beautiful combination of lush green plantations and colorful flowers. We hope after going through the above information, you got an idea about the kind of flower decoration you can have for the upcoming wedding functions. But you are surely not bound to follow the above ideas only, after all, it is your wedding, do what you feel like. The internet is filled with thousands of ideas that can be executed. But to turn that imagination into reality, you need a super experienced floral decorator. Where to find them? The answer is right here! 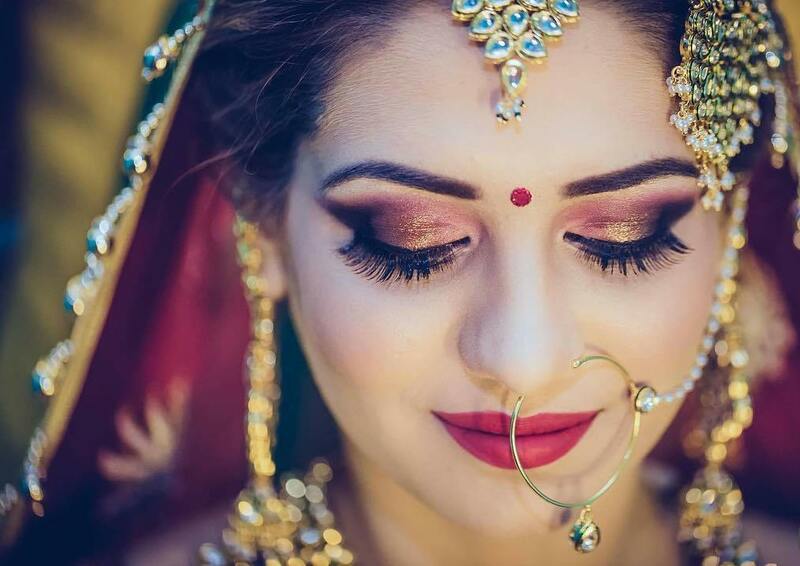 Shaadidukaan.com, India’s leading and the most preferred online wedding market. We have more than hundreds of trusted wedding flower decorators registered online. You just have to select the city and a list of ultimate decorators in the will be shown on screen.